Are you afraid to quilt your own quilts? Do you send them out for someone else to quilt? Do you have piles of quilt tops that need to be turned into quilts? 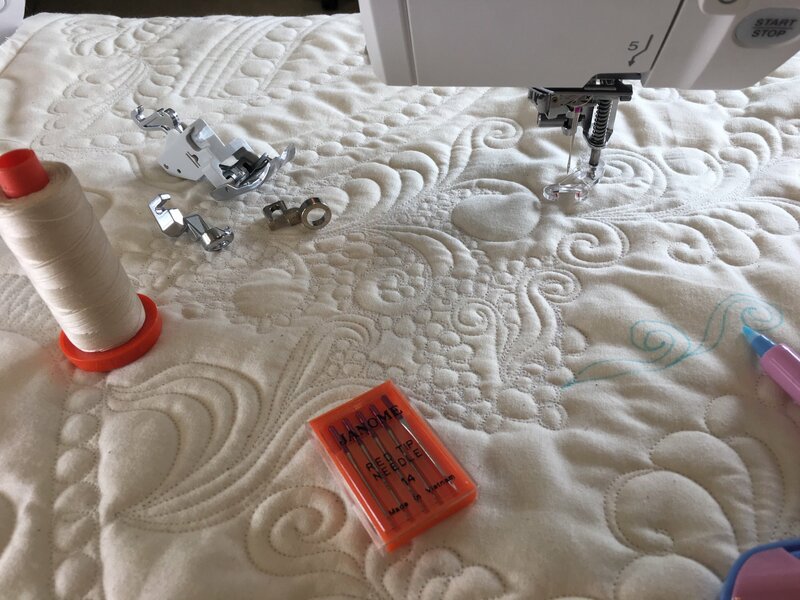 This fun class focuses on the basics and tools for domestic Free-Motion quilting for both the new and experienced machine quilters. We will cover machine setup- and care; the latest in supplies, from needles to marking tools & thread options; plus techniques for making your quilt sandwich. This is an interactive class where you will learn and practice design techniques and how to transfer those designs to your quilt giving you a foundation to build upon as you create your own personal style.